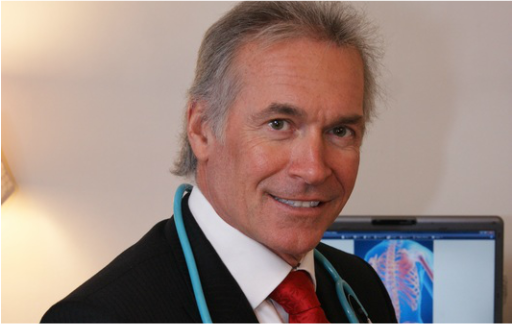 ​​Dr Hilary Jones is a great spokesperson, well spoken and a professional ready to offer his best advice in his expertise. He is a passionate and accurate doctor about medicine and informing the public of all health points they should be aware of. On BBC South West, Dr Jones talked about beauty products, what women expect and what one should do to prevent skin getting more sensitive instead of benefiting from these products. Jones qualified as a medical doctor at the Royal Free Hospital, London in 1976. He then held various positions, including being the only medical officer on Tristan da Cunha in the South Atlantic in 1978. Returning to the UK, he became a junior doctor at Basingstoke Hospital, and from 1982, became a full-time Principal General Practitioner in the Basingstoke area. Jones became a GP Trainer in 1987 and still practises part-time as a National Health service (NHS) general practitioner. Jones is an ambassador of Bliss, the special care baby charity. On becoming an ambassador, he said: "I am delighted to become a Bliss Ambassador. I know from personal experience just how valuable their work is in supporting our SCBUs and increasing the survival rate of premature and poorly babies." Jones also works as a medical advisor for online clinic Health Express where he features in a number of health advice videos as well as hosting live ‘Twitter Clinics.’ As part of these Twitter clinics, Jones offers tailor made information on a range of health related questions posed by the public. He is also actively involved in brand radio sessions, exhibitions and events. Jones is also an ambassador for the Careline Service TeleCare24, contributes articles to their blog on health matters such as epilepsy, cancer and dementia on their Careline Blog. He is also a patron of The Meningitis Research Foundation and The Lauren Currie Twilight Foundation and has also supported other charities including: Alzheimer’s Society, The Stroke Association, Northern Lights Children’s Charity, National Rheumatoid Arthritis Society, British Heart Foundation and Lucy Air Ambulance.